I love it because it reminds me how lucky I am. 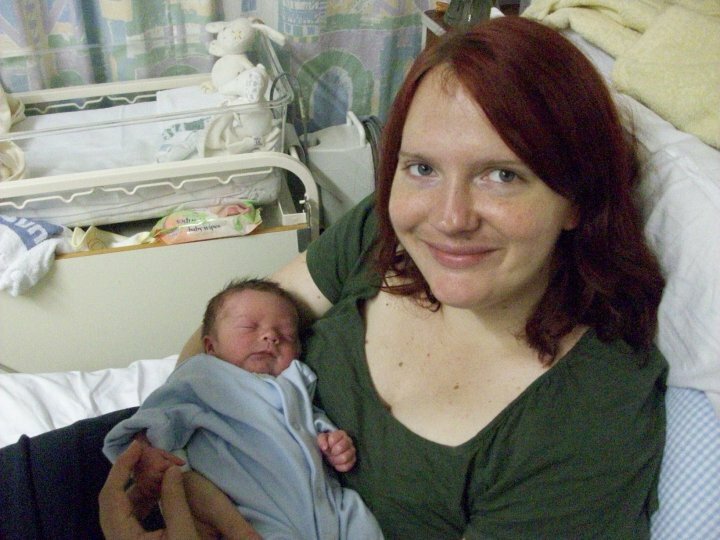 It was taken on the postnatal ward at Newcastle’s Royal Victoria Infirmary in September 2010, when Joseph was barely 24 hours old. 5lb 9oz of precious newborn, swamped in his ‘tiny baby’ sleepsuit with the sleeves rolled up and his feet without a hope of reaching down the legs of it. Gently squeezing his miniature hand between my thumb and forefinger while he slept peacefully, his head resting in the crook of my elbow, barely registering the weight of him in my arms. 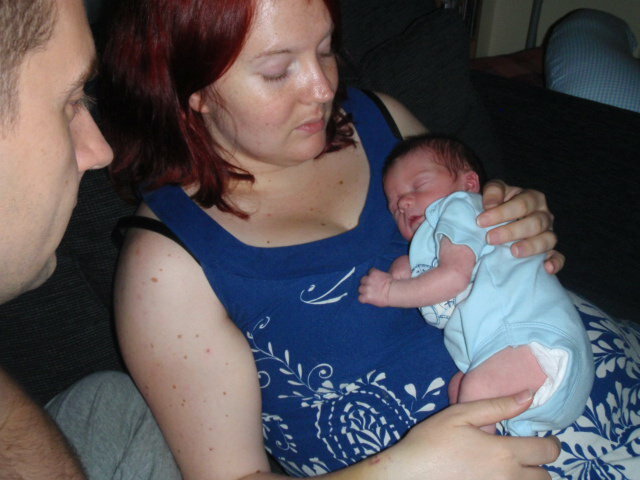 I was tired, and so very sore, and facing a long weekend staying in hospital as I recovered from pre-eclampsia and the induced labour that had meant Joe arrived almost a month before we were expecting him. But look how happy I am, and how quietly content Joe is (at least for a little while!). I’m happy because I’m giving him a hug. Holding him close so he feels safe and warm and loved. What every mum wants to do with her newborn baby. And this is why I am lucky – because although my baby was early, and small, and very fragile, he was also strong and healthy, and he never had to leave my side. He was never whisked away and shut away in an incubator with only a little hole to reach through to touch him. I spent four days in hospital with him, holding him, feeding him, bathing him, getting to know him. I never had to ask permission to pick up my baby and give him a hug, or have to do so through a tangle of wires and monitors. And then we went home, our little family, and I have never stopped counting myself lucky for every hug I have had with my little boy since. Please spare a thought and give a hug on World Prematurity Day, 17th November, for all those mums and dads who aren’t able to hold their own babies, as they spend the day in the NICU or SCBU, or were never able to take their precious little ones home. Visit the links below to see how you can help raise awareness and show your support for premature babies and their families. Thank you.